This is one of those books that it's so hard to write a review on and I meant it in a good way. I love Graceling so much that I just did not know if my review would do it any justice. Graceling is a high fantasy book so you have a lot to take in, to get familiar with the world building (all seven kingdoms) and all the bloodlines. 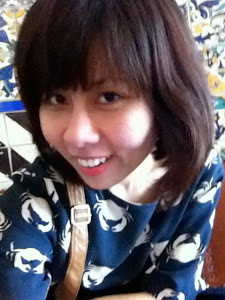 It may be a little bit overwhelming because there was so many information throwing at you. One thing I found that helped me not getting lost was to take notes. I drew out the map of the seven kingdoms and the character chart that went with it. Book like Graceling or high fantasy in general, I wish the author would include the map to help us out. 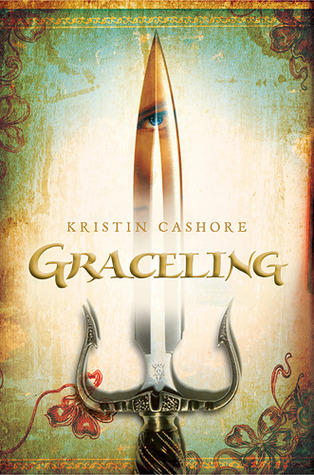 Graceling is really fast paced from the beginning to the end. And the story was just so intriguing that I'd stayed up all night reading it. The book had all the elements that I loved: action packed, funny and romance. And it was beautifully written that had captured me completely. Kasha is strong and a good fighter, I meant the BEST fighter while Po is just drop dead gorgeous and noble. I love them so much, their conversations were always amusing. Even though Kasha's logic about marriage & freedom somehow not really made sense to me. I guess maybe she was just gaining her freedom from her uncle so that's why she just wanted to be free and wanted nothing that would settle her down. Prince Po will melt your heart away with his cocky smile and his carefree ways. He is just likable character and it's just impossible to dislike him.